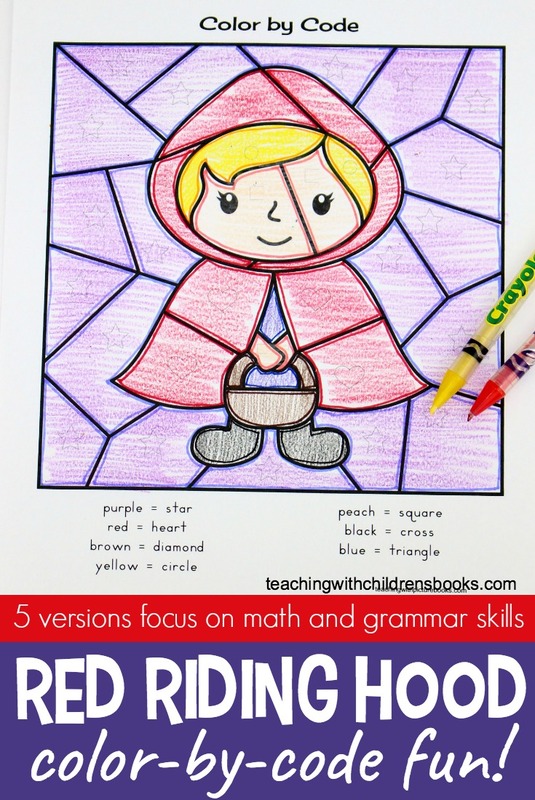 Are you looking for a fun hands-on activity to practice letter identification and matching uppercase and lowercase letters? 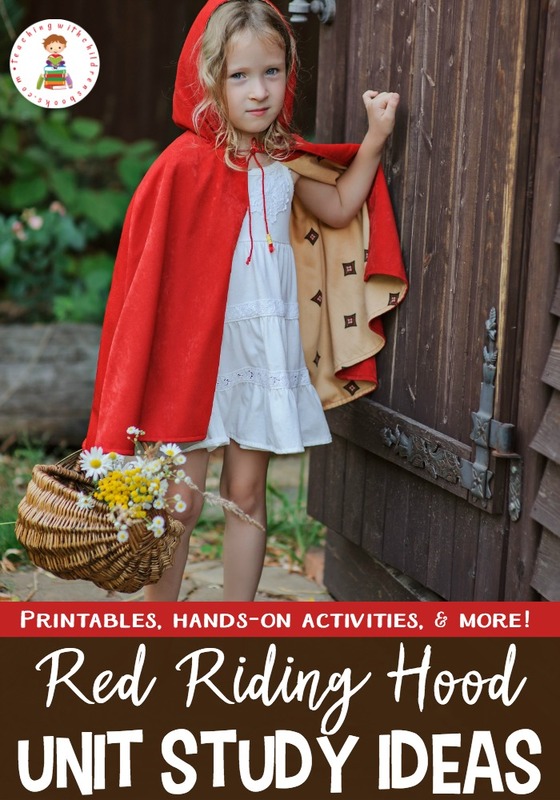 These Little Red Riding Hood printable alphabet cards are perfect! 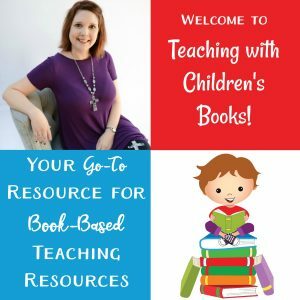 We love hands-on activities that can be used to practice, teach, or reinforce a variety of skills. 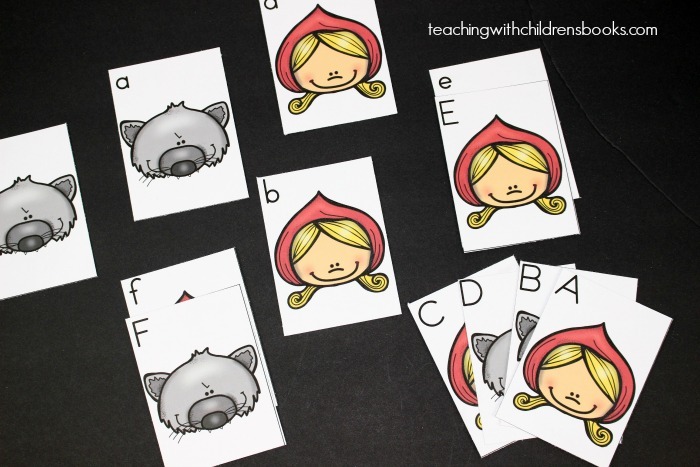 Let me show you how this pack of alphabet matching cards can be used in your homeschool, preschool, or classroom. 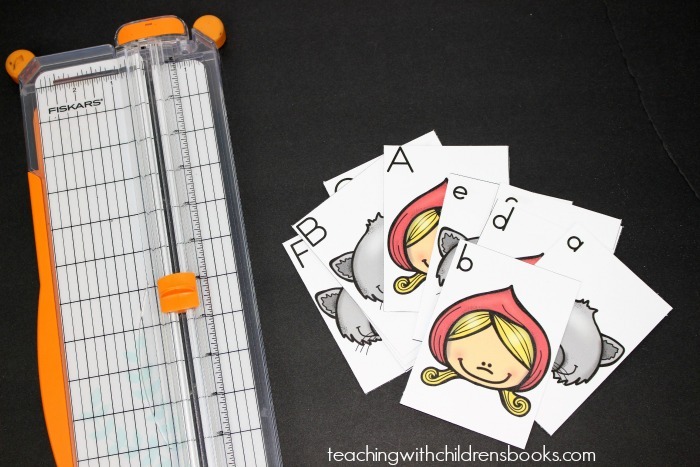 To use this pack, all you need is the printable ABC cards, a laminator (optional), and scissors or a paper cutter. Print out the pages, laminate them for durability, and cut them apart on the solid black lines. How to use these alphabet cards. 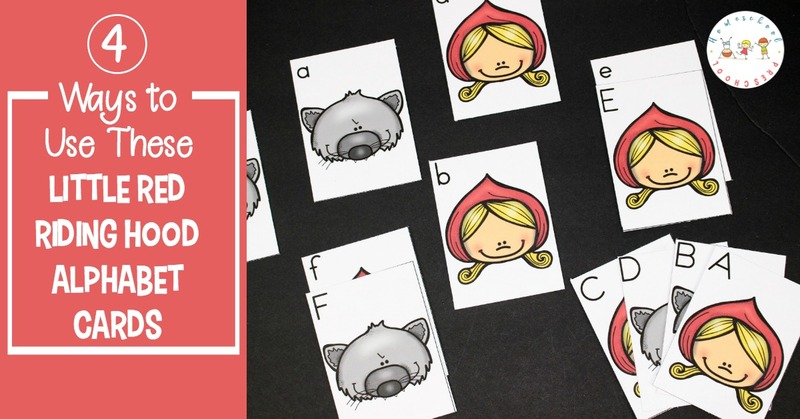 If you have toddlers and preschoolers who are still working on letter identification, these cards are a great addition to your practice time. Use them as flashcards. Hold up the cards and have your child name the letter on each one. You can also reverse the process by spreading the cards out around you, calling out a letter, and having your child find the correct card. Once your young learners are familiar with the alphabet and can identify each letter (or even most of them), it’s time to work on matching uppercase and lowercase letters. This is important as most uppercase letters look different from their corresponding lowercase letters. For this activity, spread the cards out. Have your child match the uppercase letter to its lowercase counterpart. If you have beginners, you may want to start with just 5 or 6 sets of letters to help narrow down their options. 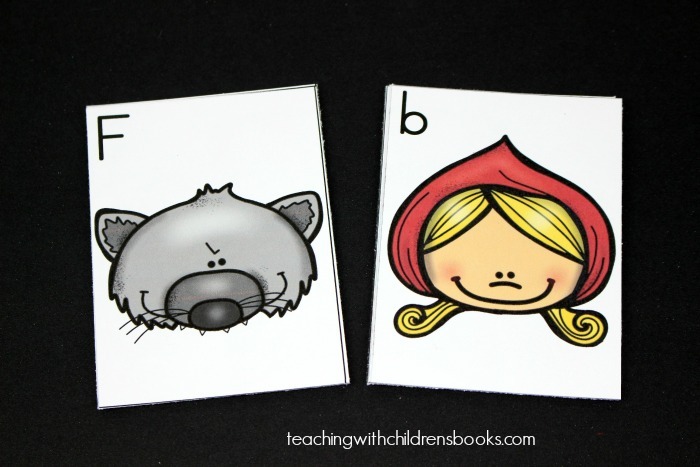 Or, you may choose look-alikes if your child is getting a few letters confused such as B, R, P, and D.
For a challenge, you could turn this activity into a memory game. Turn all the cards face down. Flip over two at a time looking for matching uppercase and lowercase letters. If your students can identify their letters and match uppercase and lowercase letters, you can have them work on ABC order. Have them mix up one set of cards (uppercase or lowercase). Then, have them line up the cards in ABC order. For more of a challenge, mix uppercase and lowercase letters. Or, have them line up both sets in alphabetical order. 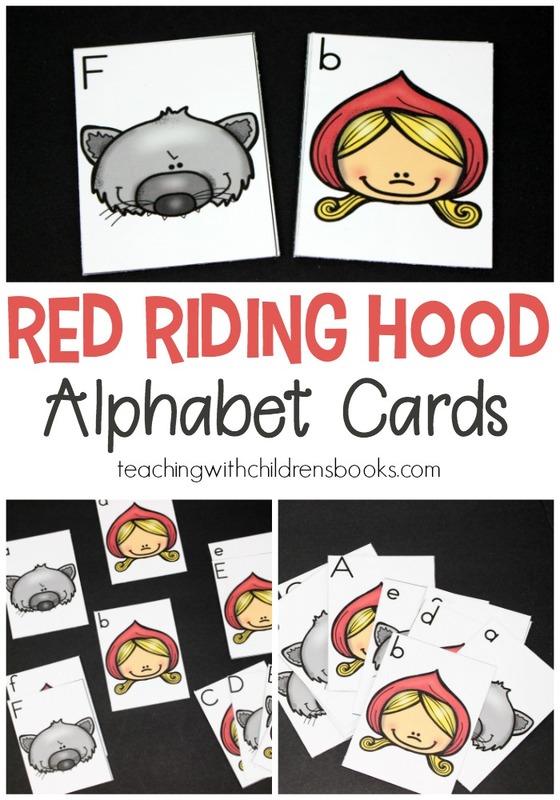 There are many different ways to use these Little Red Riding Hood printable alphabet cards. 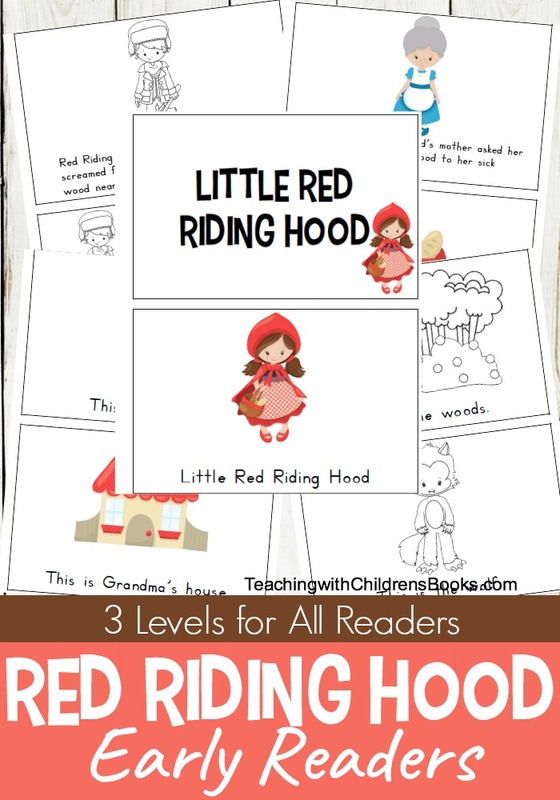 They will make the perfect addition to your Little Red Riding Hood or general fairy tale unit studies!